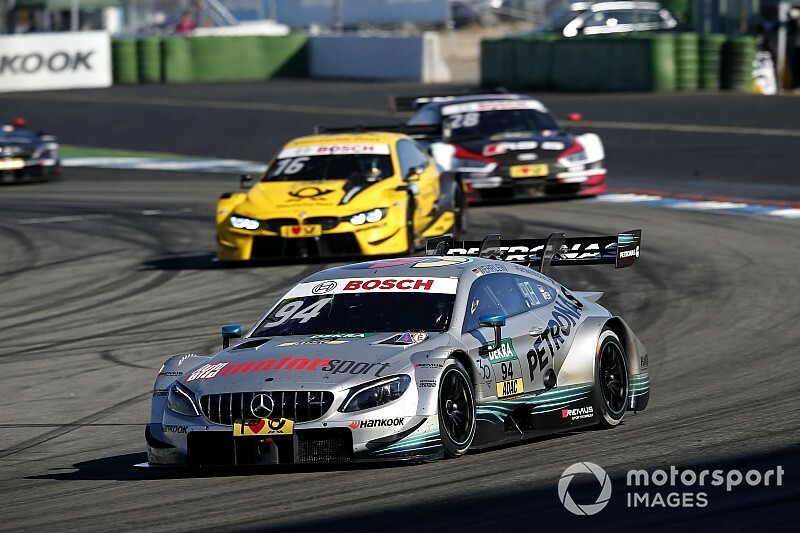 The Stuttgart marque, which won the title with Gary Paffett in its final DTM season this year, was obliged to run cars in the three-day test on December 10-12 as part of its agreement with series promoter ITR. It will field single-seater ace-turned GT3 driver Jake Dennis, GP3 frontrunner Jake Hughes, Porsche Supercup race winner Thomas Preining and F3 driver Ferdinand Habsburg, who switches from rival marque Audi. Brands Hatch race winner Dani Juncadella will also be present as a reference driver for the four newcomers. Habsburg’s place in the six-strong Audi line-up will be taken by Carlin F3 teammate Sacha Fenestraz. Both Fenestraz and Jonathan Aberdein will be testing for customer squad WRT at Jerez. BMW, which announced its four drivers for the test last week as it evaluates a replacement for Augusto Farfus in its 2019 DTM line-up, will also use the Jerez running to perform further development work on its turbo-powered 2019 car. Bruno Spengler and Marco Wittmann will be at the wheel of the new machine, while fellow DTM regular Philipp Eng will serve as the reference driver for the rookies in the 2018 car. Audi will also use a 2019 prototype for the Jerez test, but has not named any of its regular drivers to attend.